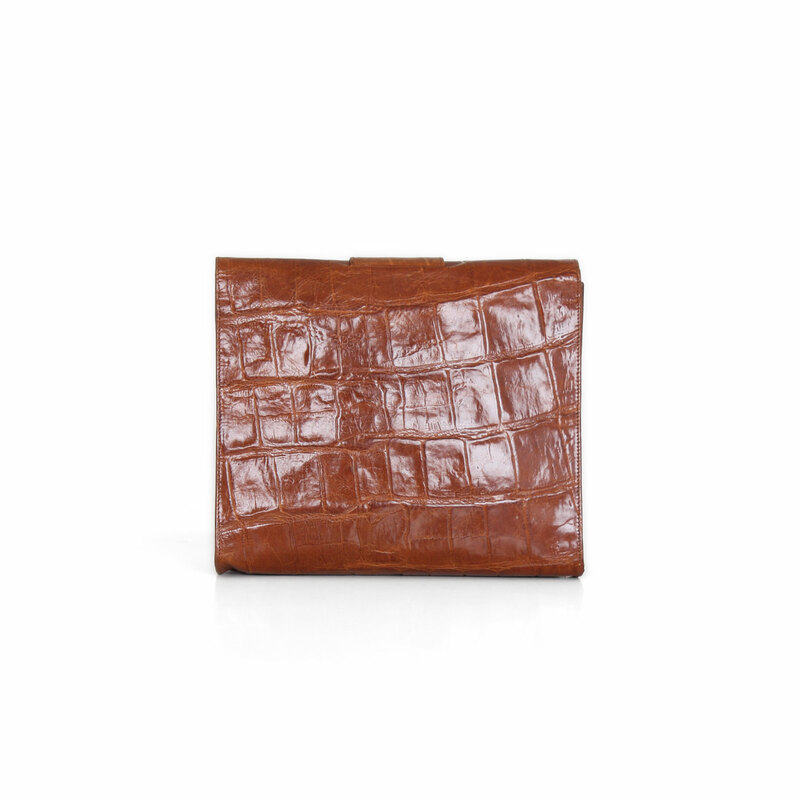 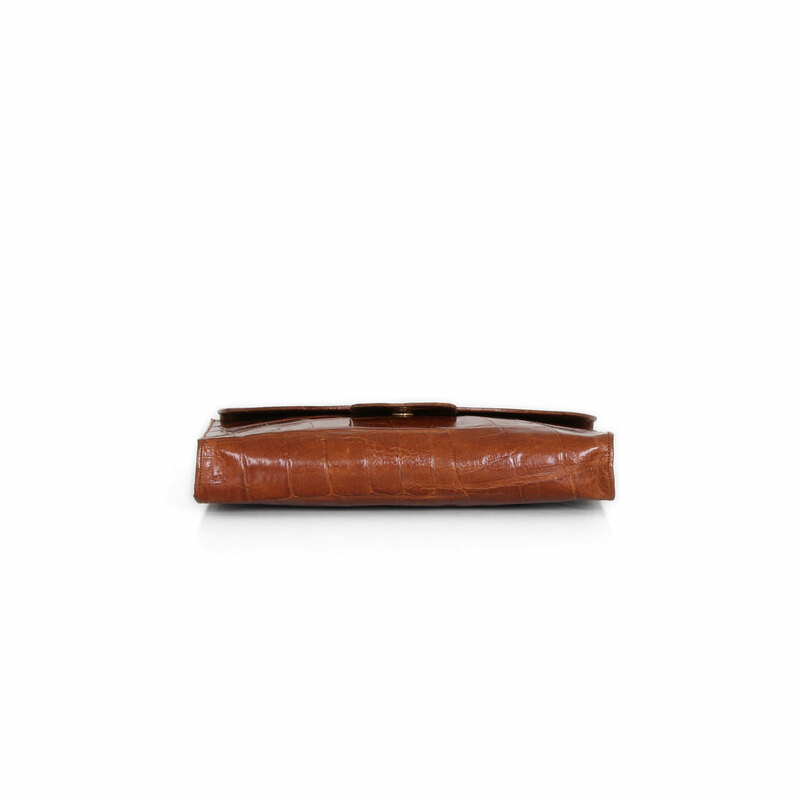 The design of this Giorgio Armani clutch bag in crocodile skin is ideal for an elegant look or to add a touch of glamour to an informal outfit. In CBL Bags we are dedicated to the purchase and sale of luxury handbags like this clutch from Giorgio Armani. 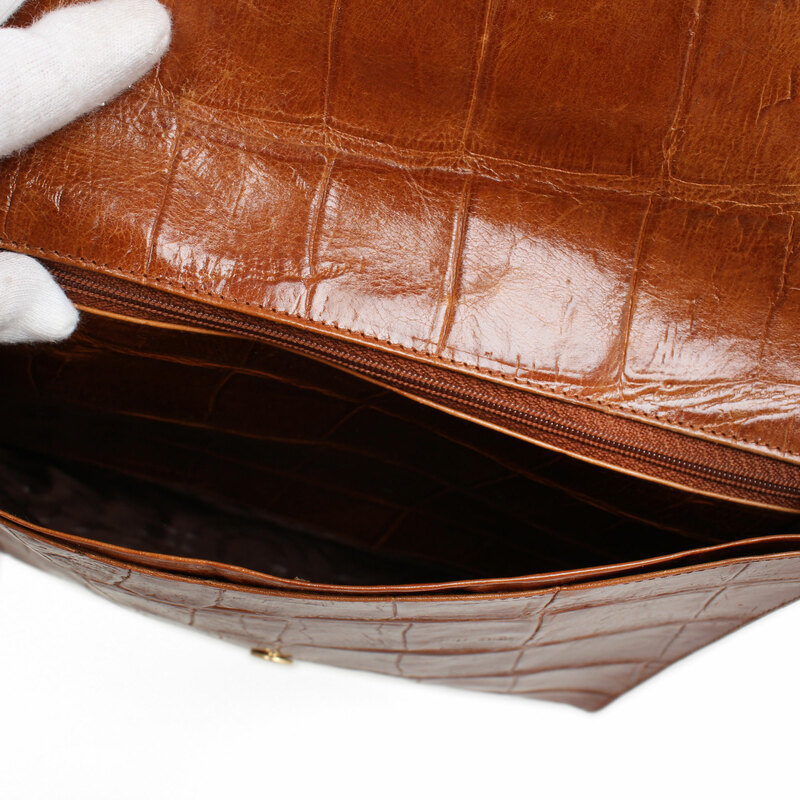 This Giorgio Armani handbag is made of brown crocodile leather. 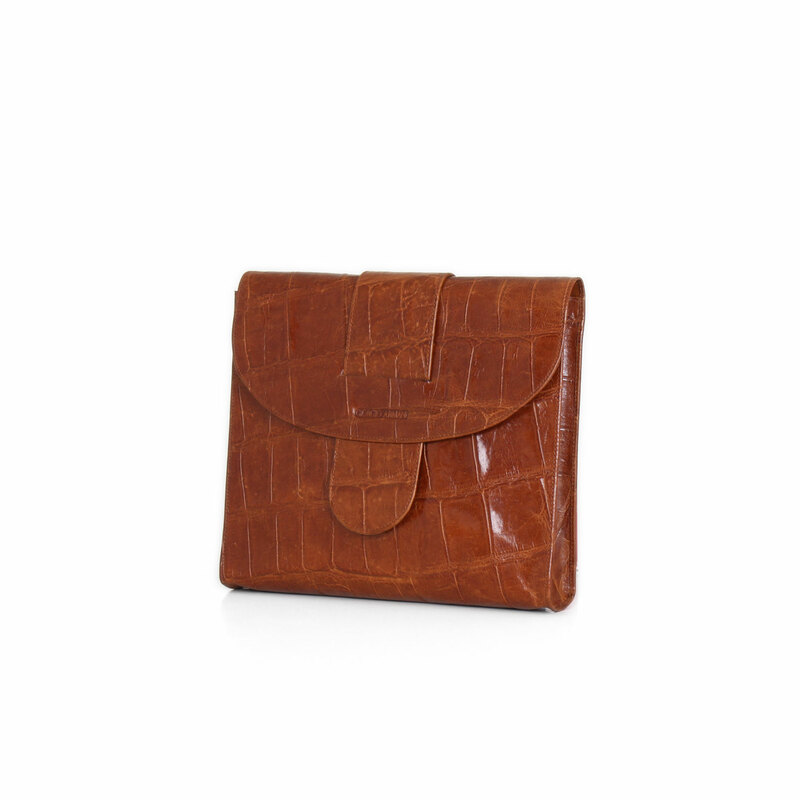 The front flap opens to an interior lined in brown fabric. 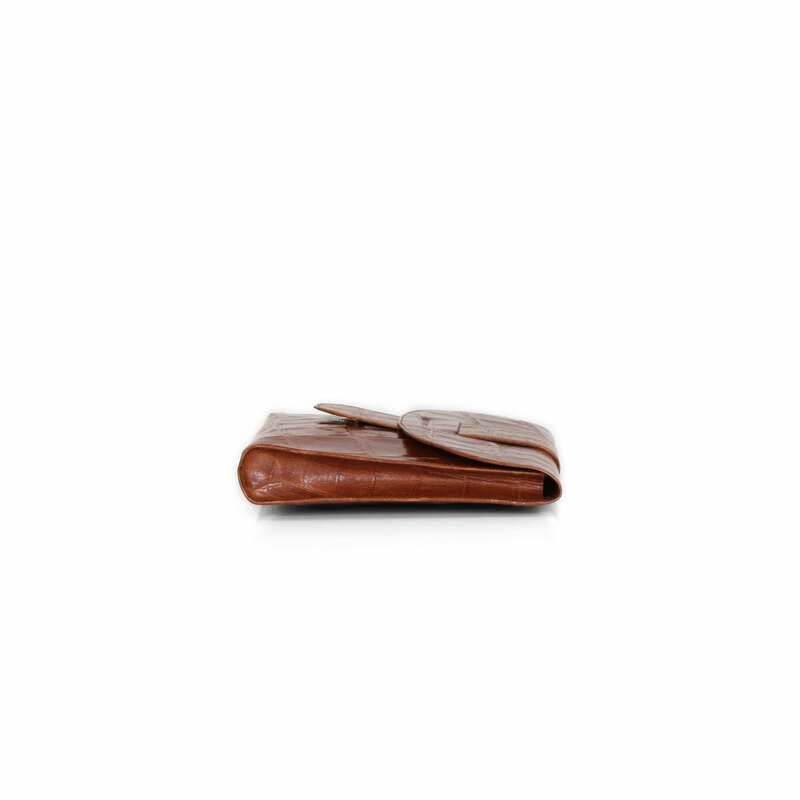 The interior consists of a flat open pocket on the front and a zippered pocket on the back. 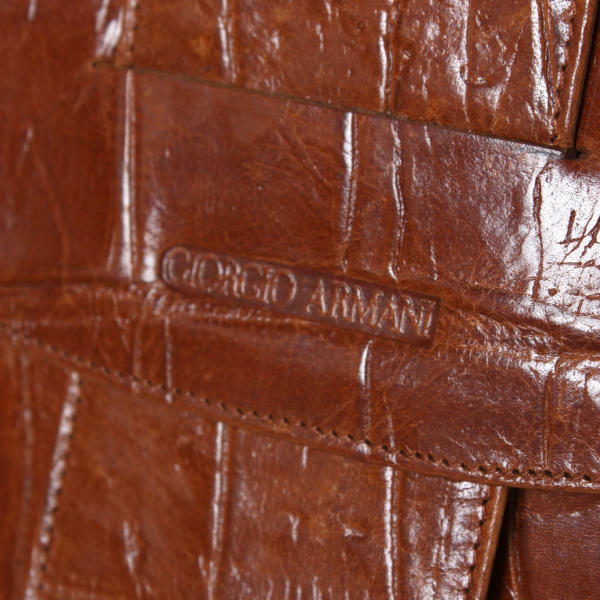 This Giorgio Armani bag is a luxury model to wear day and night with a distinctive elegance. 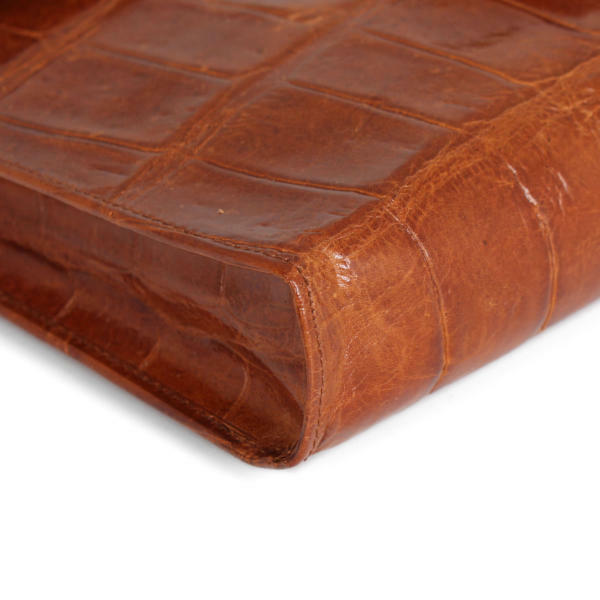 Details: Deformed corners, small leather marks.